It’s been quite some time since the last boulder comp, so I was really excited for this one. Especially the World Cup in front of my home crowd is always a highlight for me and there are so many friends and family members watching. Qualification went sooo good! Temps were much better this year, and I felt really well prepared. By topping 4 out of the 5 boulders, I placed 5th in my group and thus made my first semifinals in two years. After such a rough season, I was so relieved and happy that I was finally able to show a good performance. I was already so happy with my performance, and even more psyched to try my hardest one more time in semifinals on the next day. The boulders were totally awesome! Most of them were really athletic and not so much of my style, but I still enjoyed climbing on them so much. With two tops, I eventually finished 11th, and I could not be happier with the result. 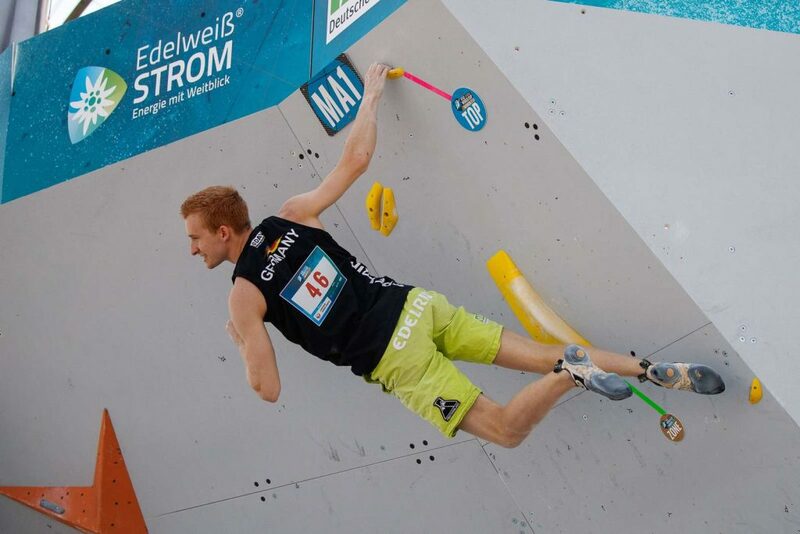 Climbing in my first semifinal of the season was really rewarding and gave me much motivation for the World Championship in Innsbruck in two weeks.